Many teen girls may feel the need to go on a diet to lose weight, even those who are already at a healthy weight. The best way for teens to lose weight or maintain a healthy weight is to follow a diet that includes a variety of foods from all of the food groups. Growing teen girls need to eat adequate calories and nutrients to support their growth and development, according to the Nemours Foundation's TeensHealth website. Teens and their parents should consult with a physician before making major changes to the diet. TeensHealth says teen girls need to drink milk. 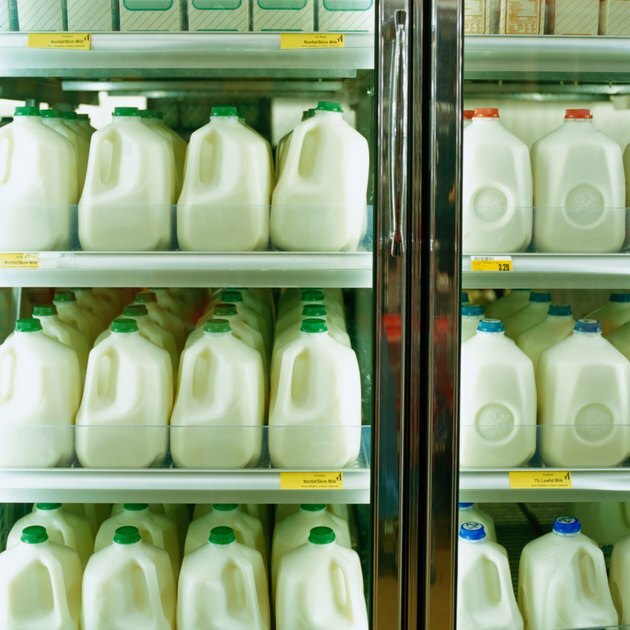 Milk is a good source of calcium and vitamin D, both needed for bone health. And the protein in milk helps to satisfy hunger better than a glass of juice or soda. Girls are at risk of developing osteoporosis later in life if they don't get enough calcium in their diet as teens. Teen girls need 1,300mg of calcium a day. An 8 oz. glass of skim milk contains 90 calories and 302mg of calcium, according to "Krause's Food, Nutrition and Diet Therapy." When it comes to eating foods high in fat and sugar, it is best to limit the portion size. Teen girls can still enjoy burgers and fries, but they should eat the regular portion and not the larger "supersized" portion to limit their overall fat and calorie intake, says the Singapore's Nutrition website. Lean protein foods, including lean red meat, pork, poultry, fish and legumes are low in calories and an excellent source of iron. Teen girls need adequate intakes of iron-rich foods to prevent iron deficiency anemia. Girls have higher iron needs than boys because of the blood loss through menstruation, according to the National Institutes of Health's Office of Dietary Supplements. Girls aged 11 to 12 need 8mg of iron a day and girls 13 to 16 need 15mg of iron a day. Teen girls may think skipping breakfast will help them lose weight, but it actually has the opposite effect. Teens who eat breakfast are less likely to be overweight, according to TeensHealth. They also generally have a healthier overall diet and do better in school. Breakfast does not need to be complicated -- a toasted cheese sandwich with a piece of fruit is a quick and portable for girls without a lot of time in the morning. Teen girls can also easily sneak in a bowl of whole-grain cereal with skim milk. Fruits and vegetables are low in calories and high in fiber, vitamins and minerals. 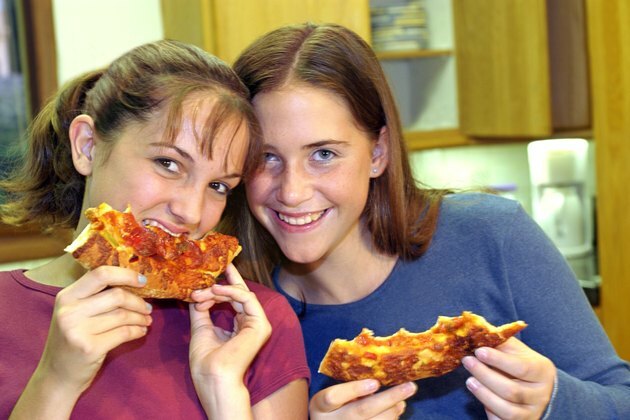 Teen girls need to eat at least five servings a day, says the TeensHealth website. Instead of snacking on a bag of chips after school, girls should grab an apple or a bunch of grapes. 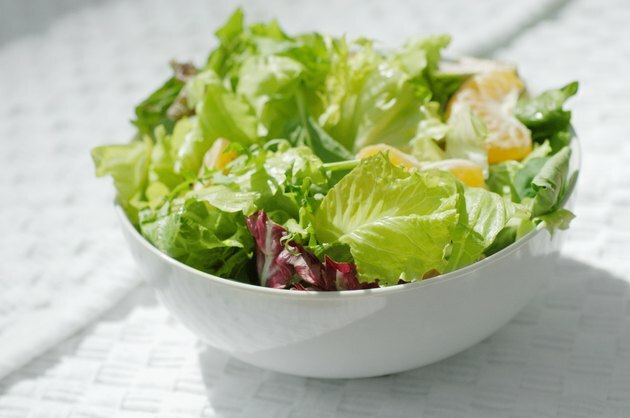 Eating salad with dinner will also help teen girls feel full so they don't overeat.